Do you know that you can get paid for finding security issues in Android? It is basically what Google offers with its Android Security Rewards (ASR) program, launched about two years ago. Rewards vary wildly depending on the nature of the vulnerability discovered, but Google says the average compensation paid to individuals is $2,150 for every valid claim they make, and dozens of researchers have received payments of $10,000 or more over the last two years. In total, over $1,5 million have been paid so far to teams and individuals contributing with vulnerability reports. Two grand is far from the biggest bounty, though. Google has a couple of much heftier prizes to go to those who succeed in critically compromising Android’s security with some specific remotely controlled attacks. These prizes stand at $200,000 and $150,000 as of this month. Interested? You can find more details about the Android Security Rewards program by following the link given below. 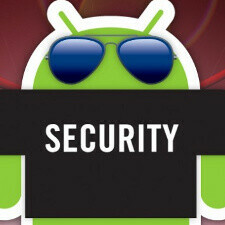 Speaking of security, Google's ASR initiative is what helps with providing monthly security updates to Android users. If you own a fairly recent Android device, chances are you're getting these already, and if in doubt, there is an easy way to check whether your phone has the most recent patches. Just go to the Settings menu > About phone > Software information and find the line that states the Android security patch level. Why didn't google just ask all the Apple fanboys in PA , they talk like they know EVERYTHING about the "security" flaws on android all the time. Would have saved them a lot of money and effort. Lol, here, apply this ointment twice a day to the burn. Crap, Hey Myphoneisonfire, pass me the ointment, I might need some too. Why didn't google just ask all the "tech savvy" android fanboys in PA , they talk like they know EVERYTHING about the "security" flaws on android (and iOS) all the time. Would have saved them a lot of money and effort. Why u copyin the comment no.1?? Obviously you are too stupid to comprehend I was being sarcastic. Anyhow, since you're obsessed with "copying", let's discuss a few of the "original ideas" of your favorite brand, Samsung; 1) That nifty Infinity Display on the S8 &S8+??? Created by the flat panel division of Toppan Electronics, and licensed for use by Samsung. 2) The soon-to-be 4nm chips??? Created by not one entity, but developed by the Sematech consortium, and licensed for use by Samsung. 3) Samsung Pay??? Created by LoopPay, and bought by Samsung. 4) Bixby??? Created by Viv Labs, and bought by Samsung. Samsung has very few original ideas, all they are adept at is buying the technology from others. You're welcome. No one asked for ur autobiography......... And it's a good excuse to dismiss the copying as sarcasm. Keep trying, no one's believing you! However, what kind of sarcasm is copying someone's comment, editing it, and then posting it??? Autobiography? Wow you're stupid. Also you clearly don't even know what sarcasm is, so your best course of action is to stop commenting. Dude, stop it already. Do you even realise in what sense the word, autobiography, is used here? I know you don't. So stay shut. Would be a favour on us. You're too stupid to be witty, and your use of autobiography fell flat. Best thing you can do is stop commenting, period. Google should be paying out a LOT of money then.